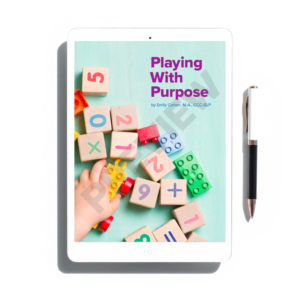 When I started this series, Playing With Purpose, my goal was to help parents, caregivers, educators, fellow SLPs, etc. make simple tweaks to their play interactions with children to expand speech and language skills. I have written about some of my favorite toys like Mr. Potato Head, and some familiar activities for families such as bath time. But what about all those other everyday items your child or clients like to play with that are not toys in the traditional sense? I am going to guess this is a familiar scenario. Your child gets a gift sent to them, and it arrives in a large shipping box. So you both excited open the present from grandma, and your child proceeds to be more interested in playing with the giant Amazon box than the lovely train set they just received. Why? Because sometimes, the best toys are not toys at all! These everyday items may be the things your child will play with for more prolonged periods of time. 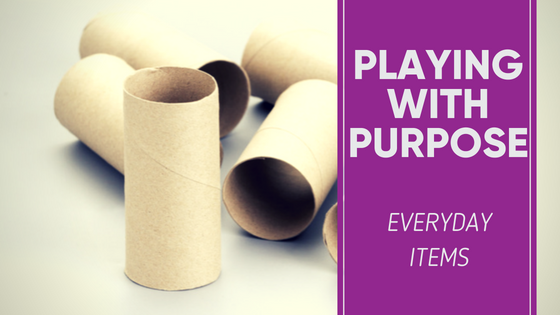 You may see them engage in more creative play with these non-toys and they cost you less money. Everyday items are the toys that allow your child to be curious and explore, which provides for many opportunities also to stimulate and boost their speech and language skills. 1. 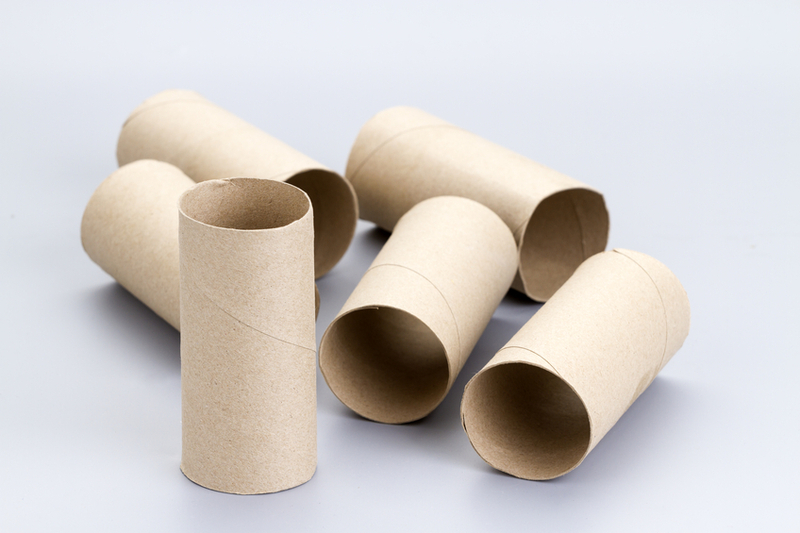 Paper Towel Tubes: These paper tubes, destined for your recycling bin, can become binoculars, a tunnel for small cars or calls, or a megaphone. Try playing an “I Spy” game using your tube like a scope. This is a fun game to play and will help your child build their vocabulary and use of descriptive terms (also known as adjectives). Start by demonstrating how the game works and describe something for your child, then see if they can find it. For example, say “I spy something yellow, that tastes tart, and is a fruit.” Adapt your descriptions to your child’s skill level. If your child is beginning to learn their shapes and colors, then use a lot of those in your clues. 2. Empty Containers or Boxes: Our little ones, aged one to two years, love any toy that they can pull, push, fill-up, and dump. 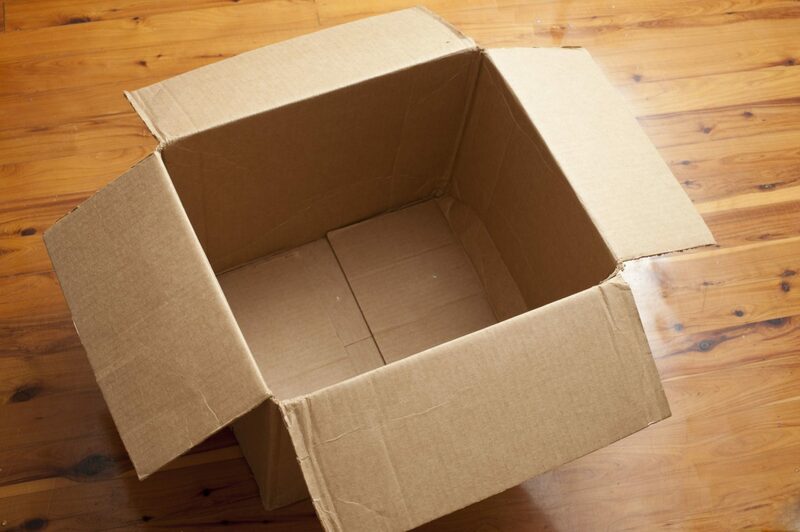 Any empty box or container meets these criteria. Use your food storage containers, a large box from diapers, tissue boxes, a zip-topped bag, water bottles, or any old plastic bin. Whether your child is the object that gets moved around or another one of their toys, play a game to highlight prepositions or location words. Some of the words I like to highlight are in, out, on, up, off, and under which all happen to start with vowel sounds. Vowel sounds are some of the earliest sounds we hear our kids say. By making intentional choices for vocabulary, you are increasing the chances your child can and will imitate your words. Take your child’s block and repeat the phrase “put in” as you repeatedly place blocks in an empty box. Then say the phrase “take out” as the blocks get removed. 3. Plastic Cups: Not only do children love to see themselves in a mirror, but they like to hear their voice. 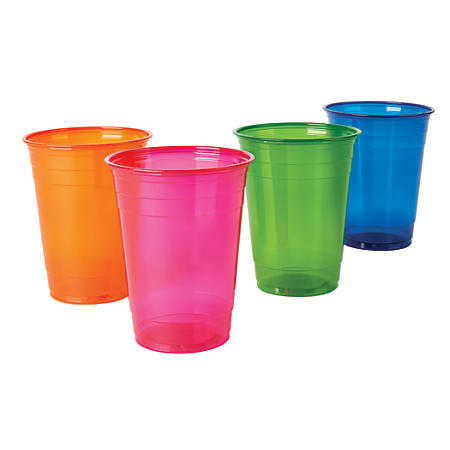 Talking into a plastic cup will provide an interesting echo and amplify your child’s sounds. You could buy a microphone, but instead pull out one of the many, leftover cups from your child’s birthday party or family BBQ. With this plastic cup game, you can encourage your child to imitate sounds/words and also practice turn-taking. Start by taking the cup and speaking something into it. Animal sounds like ‘moo-moo’ or ‘baa-baa’ are fun while playing with your farm toy or a puzzle to give them more context. You could also say silly sound combinations or nonsense words. The more silly you are, the more likely you are to engage your child. Then pass the cup over and wait for your child to imitate you. Also, highlight ‘my turn’ and ‘your turn’ for some social language building. There is no one, set definition of a toy. Imitating what your child does with the play object. 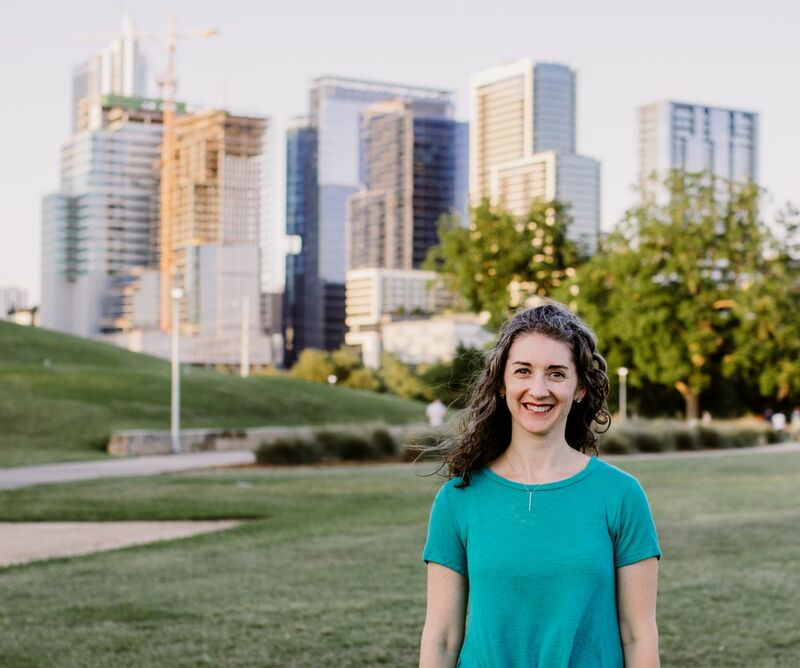 Providing a sound, a word, or a short phrase to add language to the interaction. Talk about what you see the child doing. Pretending your object does not work like the child’s object does and have them help you.